thanks for your work! Your lessons are a great help, and complementary to my guitar school lessons. I love your vids on "how to play..."! Just a quick note to Justin to say thank you so much. Learning to play guitar at the age of 45 has been a truly wonderful experience and your lessons are simply superb. To say thank you I have bought the App and the Beginners Pack and another two books. A life changing experience and hence a very small price to pay! Reading through comments on this thread, agree with most. Justin Guitar is a great resource - I looked at a few online lessons and have found these to be some of the best for a beginner, can't believe so much is for free. Will be purchasing the app and prob other stuff very soon. Thanks Justin for putting this site together. It all looks fantastic! 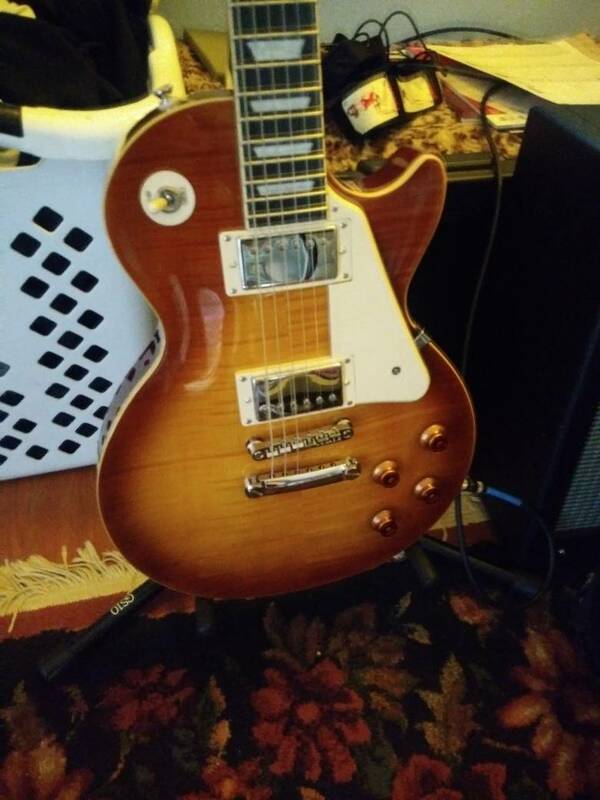 I’m very very new to the guitar as I wanted to learn how to play with zero experience whatsoever. I’ve also bought his begginer course and beginner songbook to help kickstart my guitar journey. Hopefully I’ll get up to scratch with plenty of practice. Thanks for a great and motivational course Justin. another word of appreciation to all your work! I started with the beginners app and will certainly donate (next year) to support you and allow you to continue the good work. Thanks Justin for all of your lessons and for being such a brilliant bloke. Just wanted to say hi and thanks for the fantastic lessons. Really enjoying the course and am about ready to move on from Stage 6. I've bought the physical book and Beginner's Songbook which are helping to keep me focused and up to date with my practice schedule. I've also, somewhat optimistically, picked up the Intermediate course book, so look forward to starting on that in the not too distant future! I spent along time meandering around playing the guitar thinking that only the greatest players were like hendrix and just miraculously figured it out. Now I can see that that was a naiive point of view. I've just completed the intermediate foundation course after brushing up over the beginners for a while and man am I glad I have. Your lessons are awesome and comprehensive and my playing has improved no end. Having you lay out the structure of practice techniques and theory has given me focus and now I have my first paid gig in a long time with a friend of mine. The freedom to move around the neck in both directions allows me to compliment my partner on stage and I'm sure that it will provide an excellent base for further guitar improvement. I previously donated a small donation of £5 or something like that but I'll be sure to add in some more than that. I've used £100s worth of lesson material already. Thanks very much you rock! You seem like a good person and you have helped me with this new hobby. I went from feeling very stupid as soon as I held a guitar to just wanting to play and keep learning. You have a really cool way of making me feel like I actually am one of your students even though we'll never meet. Thanks for the time and effort you guys have put in here. I usually would download and print (or just hand copy) lyrics, chords, lessons etc. But because of the great instruction, and enthusiasm I encountered on this site, not to mention the cost. I decided to drop some money, buy a few songbooks, and the intermediate course. Gotta keep this site going. There where a few slight problems with the order, but Jedi, let me know and rectified everything in short order. Just wanted to say thanks, and keep up the good work! I wanted to say thank you for your great beginner's course. My 10 year old has recently started guitar lessons at school, but it was a nightmare to get him to practise. We tried several different approaches to liven things up for him, but it wasn't until I came across your book in our local music shop that we saw a real change. Last night we went to see Coco at the cinema (The Disney film about a guitar playing boy), when we got home my son went straight to his guitar and your book! He was still playing half an hour later - unheard of!! We can't get the hang of strumming - so ventured on your website this morning - I have great hopes pinned on your online lessons!! !